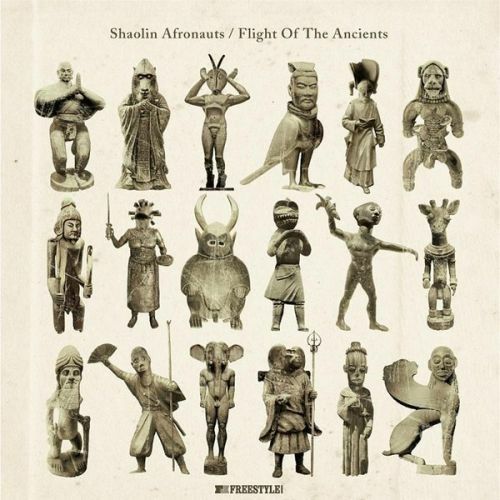 Straight out of my home town comes the smoky afro beat grooves of the Shaolin Afronauts! My immediate reaction to hearing this album was "Wow, these guys sound a lot like The Budos Band and Track 5 happens to bear a striking resemblance to the work of Mountain Mocha Kilimanjaro. Don't get me wrong though, I am not making any accusations of plagiarism, if anything the Afronauts are a little truer to the roots of African funk and soul than the other two acts. Horns, bass and percussion create the foundation for extended jams that encourage the listener to imbibe some liquor, hit the dancefloor and lose themselves in the music. The Shaolin Afronauts are in the process of recording a new album just down the road from where I live so be sure to keep an eye out for that and any upcoming gigs. Enjoy! Sounds like a winner. I'll try it! Good vibes in your neighborhood.